How to Use iOS 11.3 Automatic Setup to Set up New Device? There have been quite a few innovations lately with iOS 11.3, and Apple is really focusing on increasing convenience for its users. This is definitely evident in the new Automatic Setup feature that makes it extremely easy to transfer your personal settings from one device to another. This can come in handy if you’ve purchased a new device and you want to be able to use it right away. Basically the Automatic Setup feature lets you transfer vital information from your old device to a new device in a matter of seconds. It will transfer your iCloud keychain passwords, your WIFI info, your settings, your Apple ID, and your preferences. This allows you to use the new device right away, just as easily as you used the old one. You place your old device near your new device. Turn them both on. Your new device should automatically ask if you want to transfer using Automatic Setup. 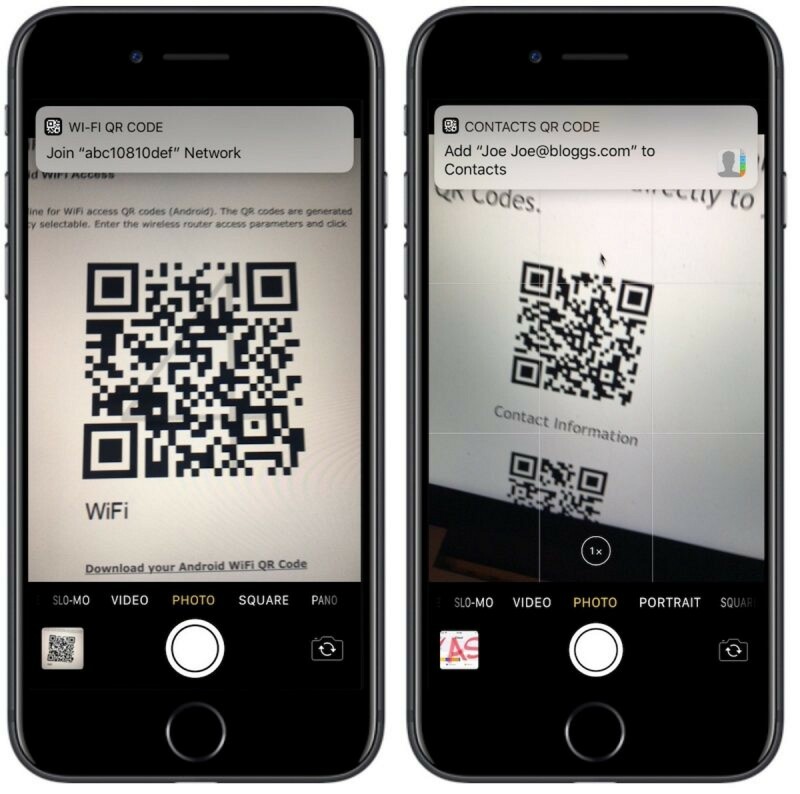 Confirm that you want to use Automatic Setup, and your old device should display a QR code (like the kind you often see with Apple Watch), and you will use your new device to take a picture of it. Enter your passcode from your old device onto the new device. iOS should then automatically transfer the data. Please also note that both devices have to be using iOS 11.3 for this to work. After this, you can restore data from a backup if you want to transfer all of your data, and not just the limited preferences, passwords, and so on that Automatic Setup transfers for you. The main issue with using Automatic Setup is that it only transfer certain kinds of data, as mentioned above. You can restore from a backup that you made with Apple’s tools, but this has its own drawbacks—for example, you cannot selectively transfer data. Is there are better way that allows you to transfer your information and files easily and safely? Two-way transfer from your device to your computer and vice versa. Transfer both purchased and unpurchased files. Completely safe; you never have to worry about risking erasing your data like you do with iTunes syncing. You can selectively transfer files between two devices. You can transfer large amounts of data in just a few clicks. Strongly recommended to have by tricksworldzz, geekreply, etc. Download and install TunesMate to your computer. Plug your old device into your computer and launch TunesMate. Click Start. Choose the types of files you want to transfer, then click Start again. Disconnect your old device and plug in your new one. Select which kinds of files you want to transfer, then click Transfer. 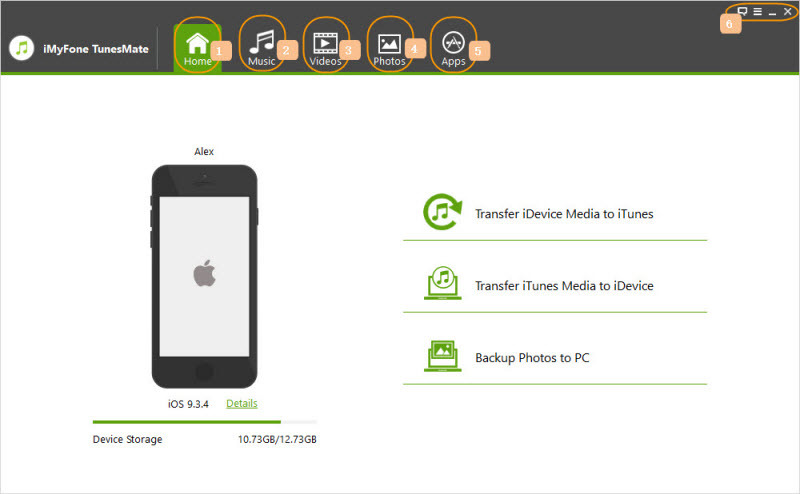 It’s as easy as that, and all of your wanted data you want to transfer from old device to new one will be transferred. You can also use computer as the bridge to set up new device. What Should We Do Before Giving Away Old Device? Do you value your privacy? If so, before you sell, give away, or recycle your old iPhone (or other iOS device), you should reset it so that none of your data is left on it. The problem with a traditional factory reset, though, is that your data can still be recovered with special tools. To completely wipe your data permanently, use a data eraser like iMyFone iPhone Eraser Win or iMyFone iPhone Eraser Mac. It will erase your data permanently so that it is unrecoverable. 100% Unrecoverable - All the erased data by iMyFone is completely destroyed even from hard drive. No chance to recovery at all. Erase Any iOS Files - Permanently delete messages, notes, call logs, contacts, browsing history, WhatsApp data, etc. Erase Deleted Files - Previously deleted files can be found out and permanently deleted without chance of recovery. Erase Third-Party Apps Traces - Incomplete fragments created by Snapchat, Facebook, Instagram and 7+ more can found out and destroyed. Step 1: Install iMyFone iPhone Eraser to your computer, connect your iPhone, and launch the eraser. Step 3: Choose a security level if you want to change from the default Medium. Type “delete” into the textbox to confirm and click Erase Now. Factory Reset iPhone without iTunes? The Fix! Automatic Setup is a great feature, but make sure to use it in conjuction with applications like TunesMate and iPhone data eraser to make the migration process simpler and easier.